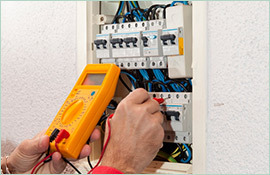 When You Need Power Now, Call The Emergency Electrician Panania Residents Trust! Having constant access to electricity is truly crucial to health and survival in some situations. For anyone with a disability or illness, or most everyone during extreme temperatures or those with a small child or elderly family member, going without access to safe electricity for a few hours could be truly dangerous. If your home goes through a black out, or blows the circuits, it doesn’t matter if it is two in the morning or two in the afternoon, you need it fixed now! When you face a problem like this, you don’t have time to wait for normal business hours. When they need an emergency electrician, Panania residents can count on Paul’s Electrical Services to come to the rescue. 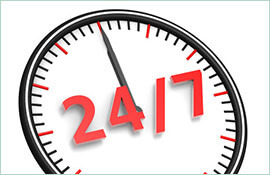 Our talented tradesmen are trained to provide the best, most efficient services for our customers, 24/7. 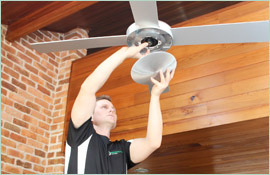 When you work with Paul’s Electrical Services, our technicians are on time, every time. Our technicians will come out with a fully stocked, work van, ready with the tools and supplies needed to provide you with the service you need. All of our residential electrical specialists are trained to serve you quickly and efficiently, and to do the job right, the first time. When you need an emergency electrician, Panania homes can rest assured knowing that every job we do will come with a lifetime workmanship warranty. 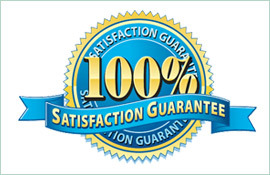 All of our technicians have years of experience and will get your electrical system working again quickly. Our tradesmen can do more than problem solve. When you need something installed, or maintenance and service to make sure things are taken care of so that you can better avoid an emergency, Paul’s Electrical Services can provide you with any electrical service you need. We provide service for fault finding, switchboards, power poles, safety switches, surge protection, metering, lights, ceiling fans, power points, stoves and more. Whether you need a standard service, or an emergency electrician, Panania residents can count on the experts at Paul’s Electrical Services for all of their electrical needs.